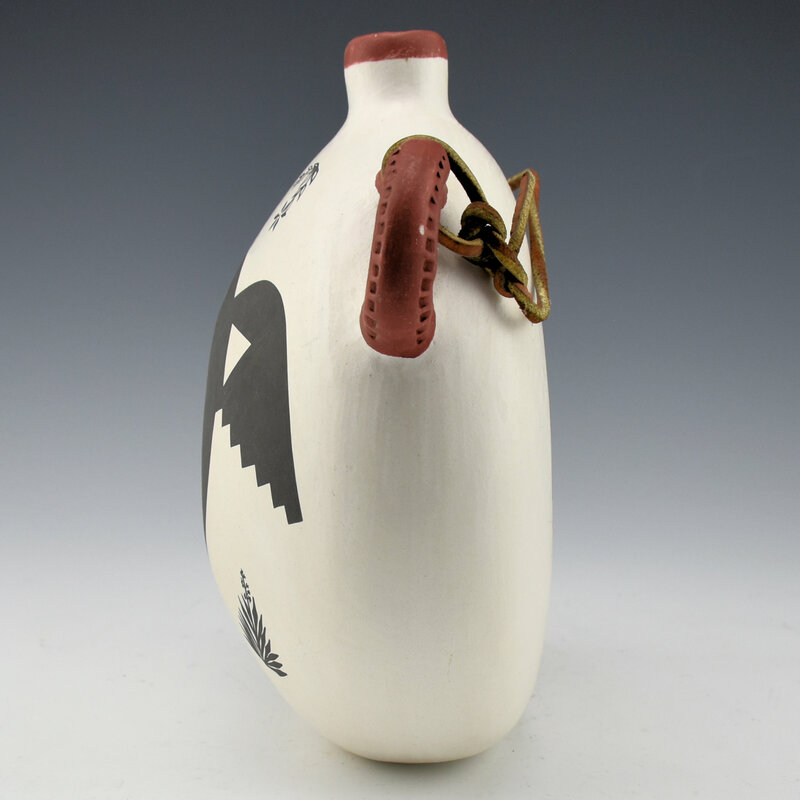 Charmae Natseway is known for her exceptionally painted pottery and use of distinctive forms. 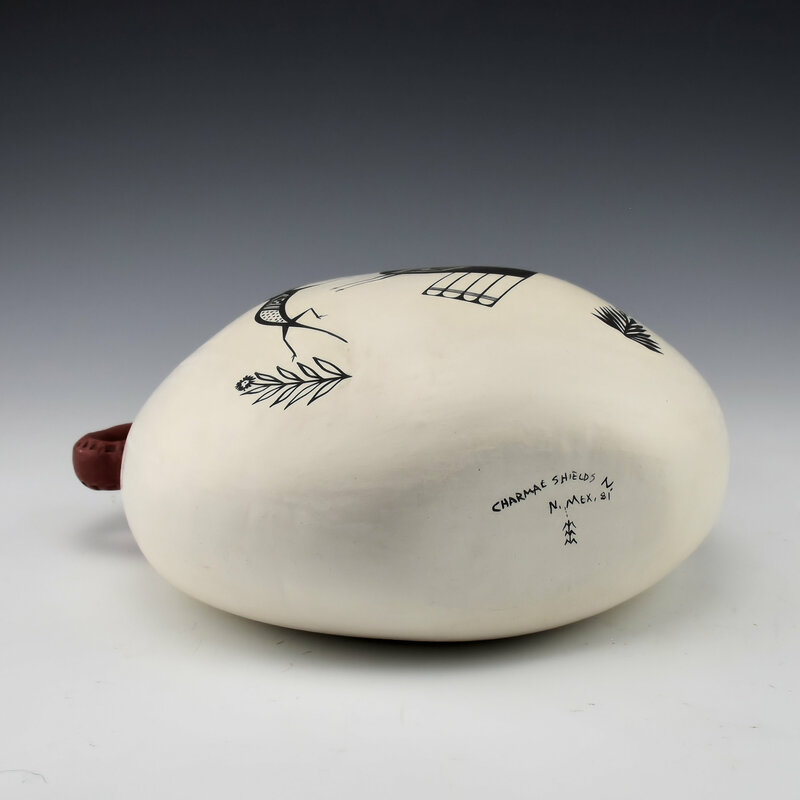 This piece is from 1981 and it is one of her classic canteen shapes. 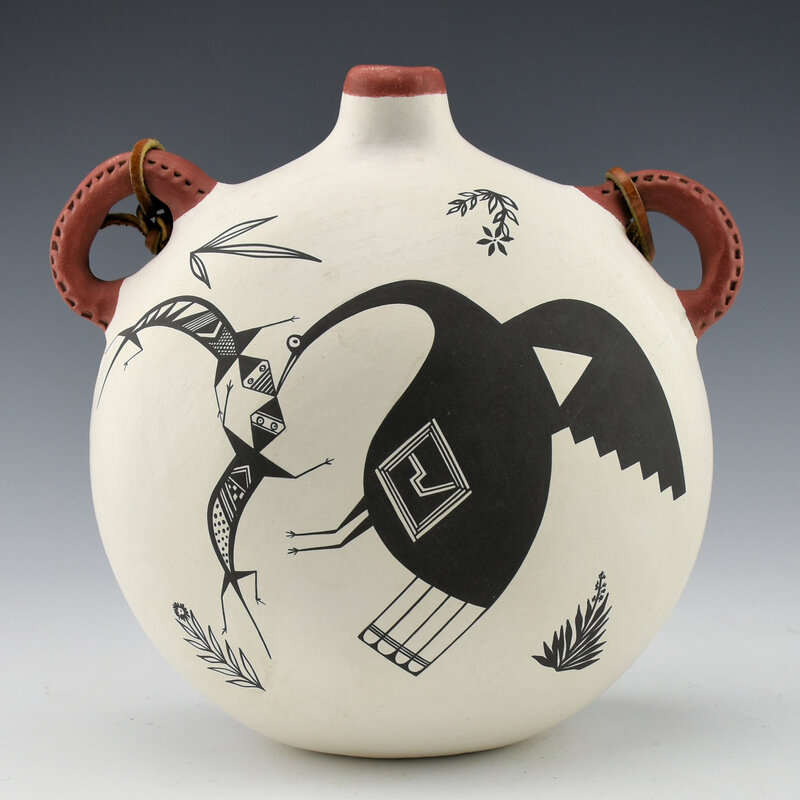 On the front are a Mimbres style bird and two lizards. They are very detailed in design. 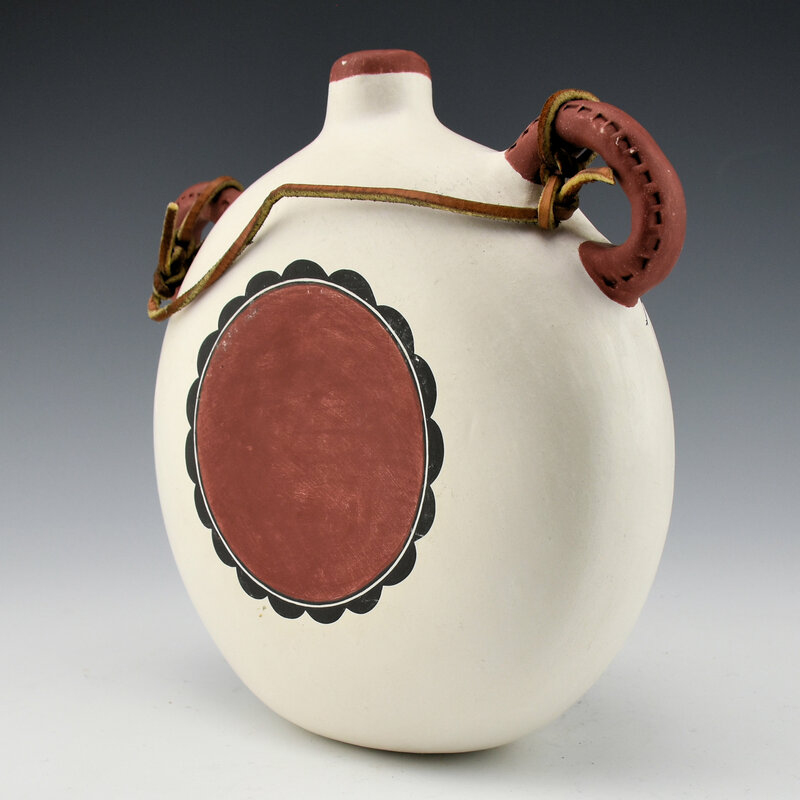 The mouth of the canteen and the handles are slipped with a red clay. On the back is a red flower with black petals. It is signed on the bottom, “Charmae Shields Natseway”. It is in very good condition with no chips, cracks, restoration or repair.